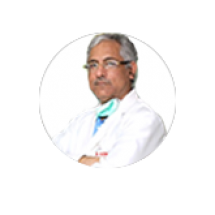 He has over 32 years of experience of satisfied patients in his field. His MS in General Medicine was completed from Safdarjung Hospital, Delhi followed by MCh (Genito Urinary Surgery) from SMS Medical College in Jaipur. He has a Fellowship in Ureteroscopy: Clinica La Luz, Madrid, Spain, 1994 and Fellowship in Kidney Transplant & Reno-Vascular Surgery: Cleveland Clinic, Ohio, US, 1995.